I’m often asked, “where can I see ceramics in Los Angeles?” One of the first places to look is the Los Angeles County Museum of Art. 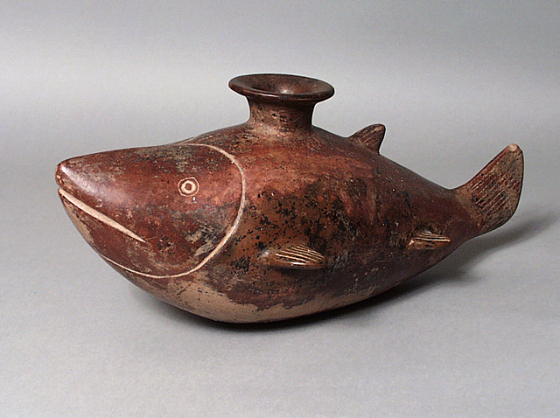 The museum has been acquiring ceramics for decades, and their collection ranges from Pre-Columbian figures to a mural by Henri Matisse, to a Peter Voulkos sculpture. 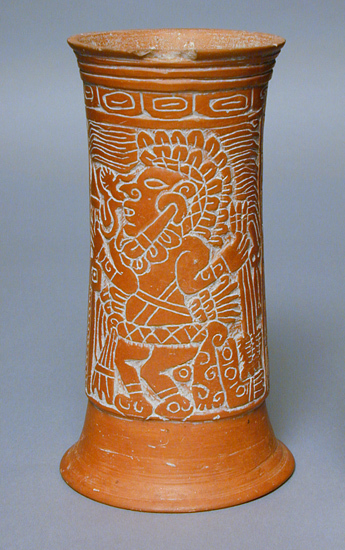 In the Art of the Americas building, the large Pre-Columbian collection is on view, as well as a selection of modern and contemporary ceramics from the Decorative Arts Department on the third floor. 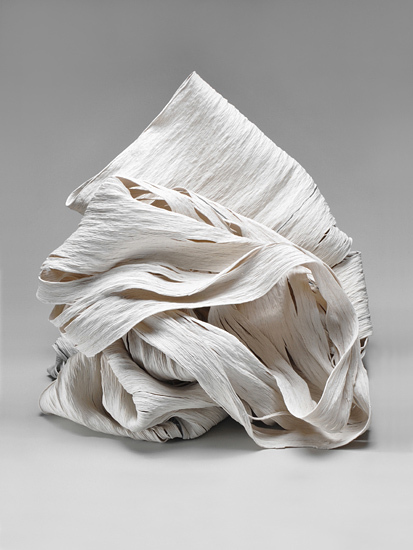 Many works in the LACMA collection were donated by Howard and Gwen Laurie Smits, a large gift that includes work by several of the artists represented by the gallery. 1 Picasso, Pablo, quoted in The Insider 3 (Summer 2013): 13. 2 Lloyd, Frank, “Vanguard Ceramics: John Mason, Ken Price, and Peter Voulkos.” In Clay’s Tectonic Shift: John Mason, Ken Price, Peter Voulkos, 1956-1968, edited by Mary Davis MacNaughton, 19-39. Claremont: Scripps College and Getty Publications, 2012. When a writer is moved by a particular artist’s work, their writing seems to flow from them naturally. The artist currently on display at the gallery, Cheryl Ann Thomas, has been the inspiration for some evocative art writing. This doesn’t surprise me at all, as her work is open to interpretation as it draws you in. 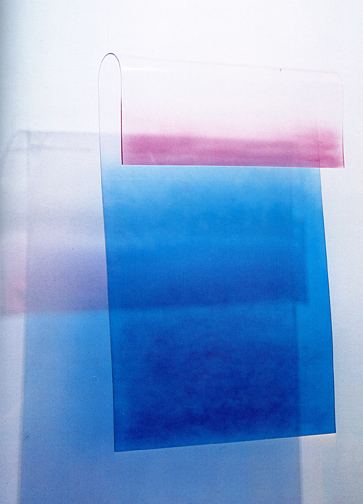 1 Mallinson, Constance, “Cheryl Ann Thomas,” Art in America, (March 2009): 154. 2 Levine, Elaine, “Fragility and Loss,” Ceramics: Art and Perception no. 85 (2011): 30. Entering the Norton Simon, one descends the center staircase to the basement, into the Special Exhibitions area. Part one includes nine works; Barbara Hepworth, Henry Moore, and Isamu Noguchi (all marble) as well as Louise Nevelson, Gabriel Kohn, Charles Mattox and Guy Dill (wood and other materials). These sculptures set up the relationship to Brancusi in ways both direct (Hepworth and Moore) and tangential. Relationship to sculptural volume and the use of larger masses in space abounds in the second room. 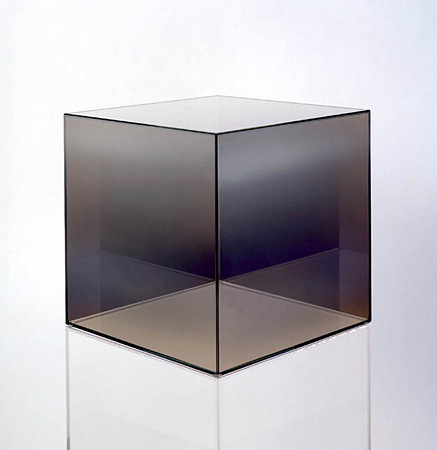 The scale and industrial materials of Minimalism expand the exhibit in works by Donald Judd (two from Judd), Robert Morris (a felt piece), and John McCracken as well as Carl Andre’s modular floor piece and Larry Bell’s big dark cube. This is a compact view of the major power of the Minimal era. It’s in room three where the show gets really interesting, as far as sculptural space is concerned. That’s because the work of Helen Pashgian, Robert Irwin, Craig Kauffman and DeWain Valentine present ways in which our perception of space is heightened or altered. The Robert Irwin disc—in aluminum sprayed with a luminous, magical shifting aura of pale color—is installed at the far end wall, framed by the room openings of the previous sections. Back upstairs in the permanent collection, Brancusi’s “Bird in Space” is highly polished bronze, and the progenitor is “reflecting life itself” according to the artist. That might be a good way to view the whole show. Certainly, the emphasis on spatial relationships dominates, and the significance of materials or process is secondary in the show. It’s the work of Norton Simon Museum curator Leah Lehmbeck, and definitely something to see.